The word on the street is that this summer has been the coldest and foggiest in the Bay Area in 39 years. I can believe it; it has been so foggy and windy at our house, I started wearing long johns last week. The plants in our garden don’t seem to mind as much as I do. 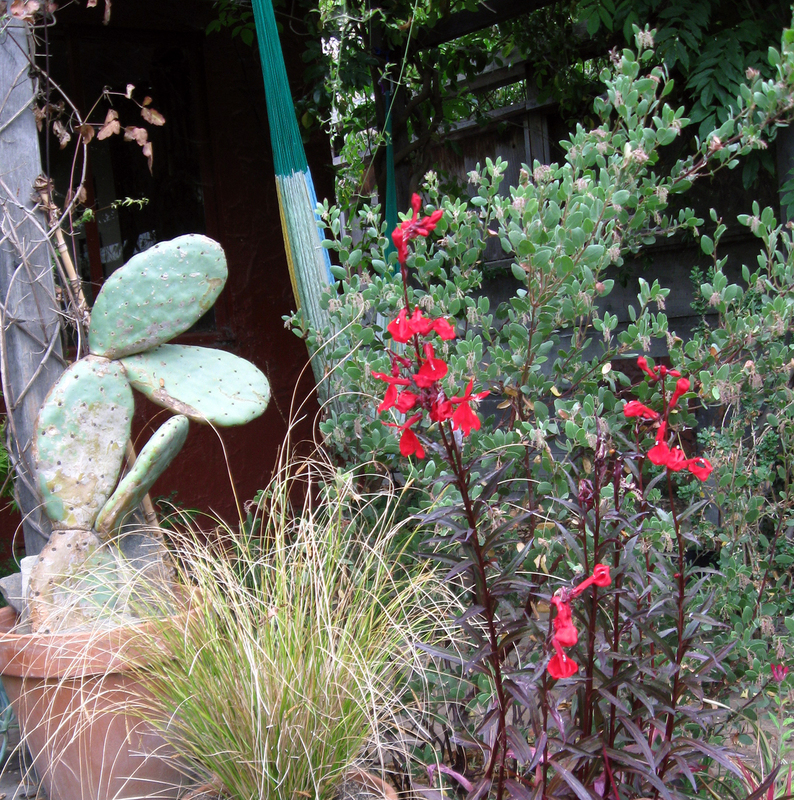 I don’t notice any particular lack of flowers, and the usual late-summer suspects are all blooming. I missed last month’s bloom day, but most of the same plants are still in bloom, with the Lobelia and the Stargazer Lily being the two main ones that hadn’t quite opened in mid-July. In June we accidentally let our containerized native lilies dry out, so they declined to bloom this year. The Stargazer is in the ground, so it’s flowering nicely. 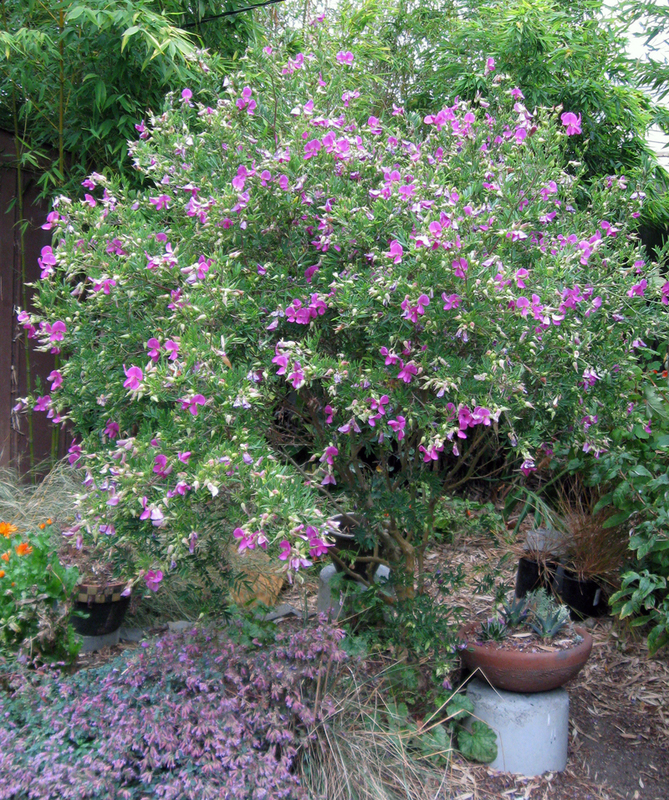 The Indigo Bush, Indigofera heterantha, behind the Stargazer is our reliable summer-blooming shrub. It has been happy this year, with none of the aphids that appeared on it last year around this time. The ornamental oregano at its feet hasn’t seemed to attract as many honey bees as usual, probably because the weather has been so chilly. The Western Spicebush is our other summer blooming shrub. It has been going for several months now, with lots of seed heads, flowers, and new buds. It loves the graywater from our laundry machine. 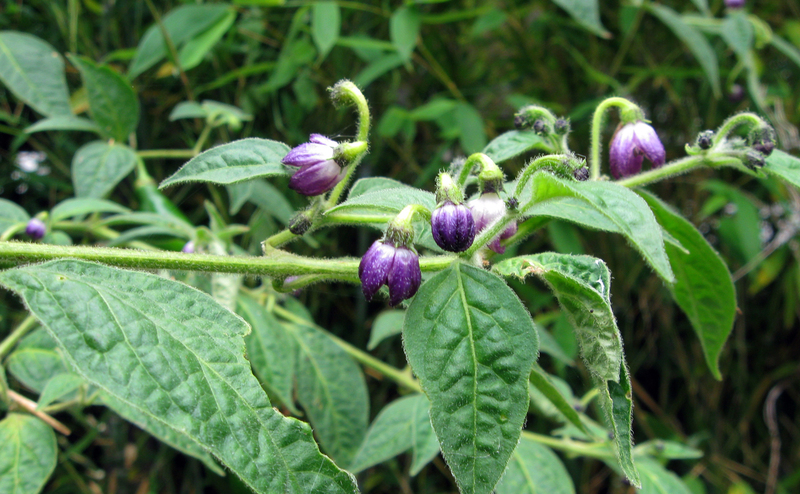 The Rocoto pepper is also enjoying a long season. The flowers aren’t very noticeable from a distance, but I like them up close. I don’t think people with sunny vegetable gardens can appreciate how happy I am to find a pepper that produces so well in our foggy, part-sun site. 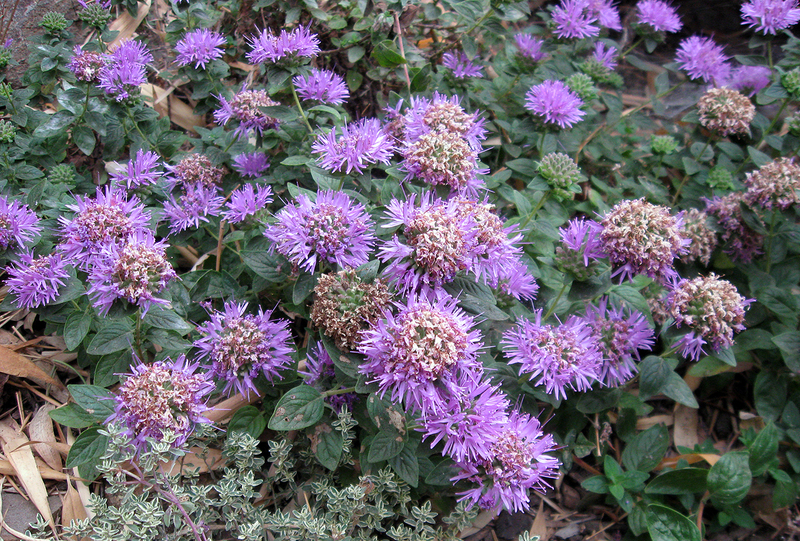 The Coyote Mint, Monardella villosa, also has a long bloom season in our garden. And the Beach Primrose, Camissonia cheiranthifolia, has been going for a while. It’s doing a nice job of sending flowers out into some of the other plants around it. Thanks to Carol at MayDreamsGardens for hosting bloom day. Click through to find links to tons of other blogs showing off what they have in flower. 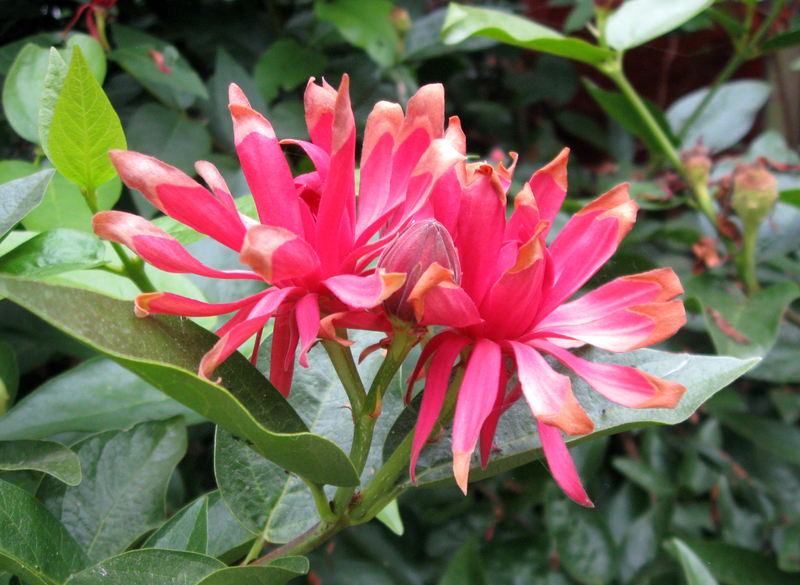 Below, I have a list of our other plants in bloom. The native Aster ‘Purple Haze’ and the Garlic Chives have just started up. This entry was posted on Sunday, August 15th, 2010 at 4:57 pm and is filed under garden bloom day, plants. You can follow any responses to this entry through the RSS 2.0 feed. You can leave a response, or trackback from your own site. That’s a pretty amazing collection of blooms considering the weather. I’m quite curious how my garden fared under Mr. Mouse’s vigilant eye… In another week, I hope to be home. Never seen Western Spicebush, it is much more beautiful than our spicebush here. Really liked the Coyote Mint too, is it a bee balm? It’s always fun to see the garden after a chunk of time away. Should be doing fine. Our Spicebush has gotten too big to share its planting bed with a limonium alas. I’ve never grown the Monarda bee balms, which I think mostly need a colder winter to do well. 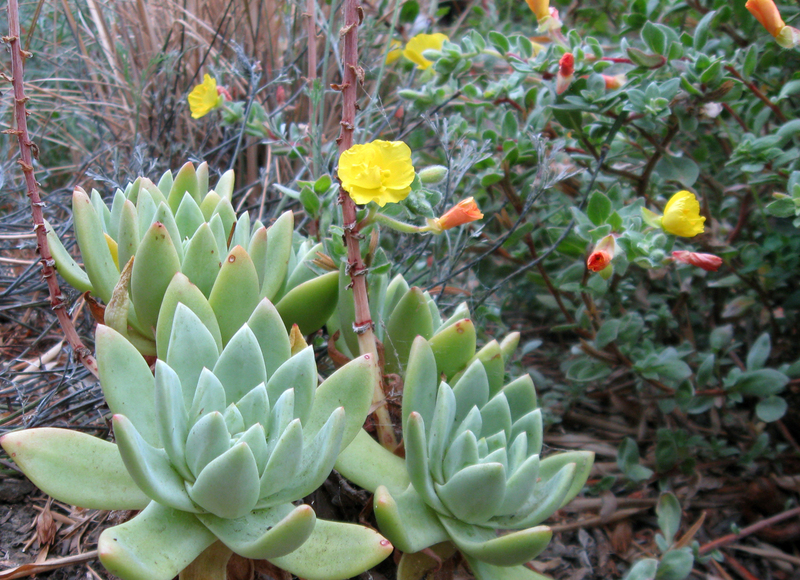 Our Monardellas are related, but more of an arid plant. We have two different kinds in our garden and James just bought one of the other ones. They are really nice when they are healthy and happy, though maybe not quite as big a show as the bee balms. 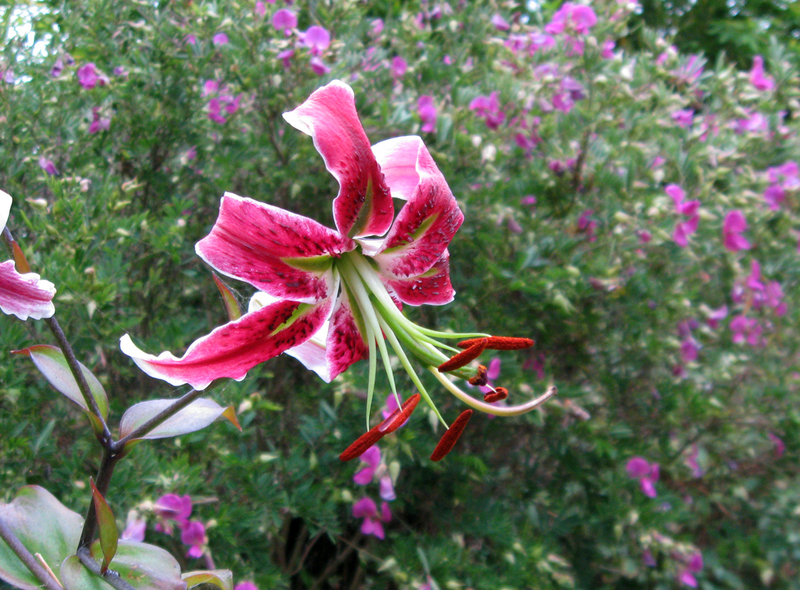 That Stargazer lily is beautiful. I wish my coyote mint would bloom at all. I have two of them, but neither shows any sign of blooming.